This is the best time of year for oranges. Top moist pound cake and you have a hit! Cut away the peel and pith of the oranges and cut out the segments. In a medium bowl, gently combine them with the honey. 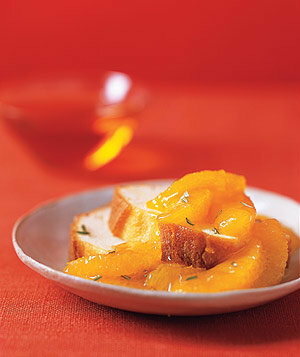 Spoon the oranges over the cake and sprinkle with the rosemary before serving.